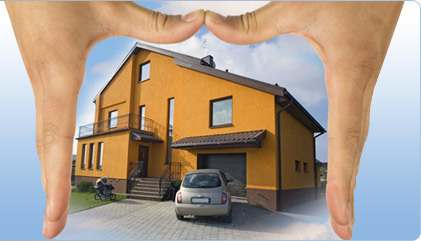 Nevada Landlord Insurance Quotes - Get Nevada Landlord Insurance Quotes in Minutes. Nevada landlord insurance quotes are a good way to make sure you are getting the policy coverage you need for the price you want to protect your rental property investment. The coverage you have at present may not be all you want or need, and getting quotes can help you evaluate this and make wise choices. Getting quotes gives you the opportunity to take a realistic look at what you have now compared to what you really should be getting, for the best possible price. Reports indicate that, for Nevada residents, flooding is the number one natural disaster that poses a year round threat to the state. Not only is this a year round concern, it can occur with very little to no real warning. The 2008 levee failure in Fernley left many insured residents to find their policy did not have the flooding coverage people hoped for, if it was included at all. In flat, arid, desert areas, when rains move in it can be hard and fast, and likely lead to flash floods. Homeowners, renters and landlords often assume their policy includes flood damage, but this can be a costly mistake to make. There are ways to check if your home or rental property investment is in a flood zone, but even if it isn't having flood coverage is a good idea in Nevada. When you get your Nevada landlord insurance quotes, this is something you can make sure to have included. Especially, if your current policy doesn't have it. It means it is time to make the switch to a policy that does include flood coverage. While many people skimp on insurance coverage, this is one area that you really do get what you pay for. Opting to cut corners, choose a policy blindly or simply settle for the cheapest and most basic coverage required can lead to much greater expenses down the road. In fact, if disaster strikes and your policy doesn't cover your property the way you need, you could be left picking up the tab. If you cannot afford to cover the costs yourself, it means your rental property sits vacant, not collecting rental income, and you may eventually lose the property altogether. If you are certain it is included in your insurance policy, more than likely it isn't. Keep in mind, even if the rent you collect is side income, this is your investment. Without proper coverage, not only can you end up not making any money, you may be faced with having to sink a good deal of extra cash into it. When getting your Nevada landlord insurance quotes, consider the ways you can protect your rental property from the inside, too. One way to do this is by making certain you have contents insurance coverage. There is a great deal invested in to the contents of your rental property, as well. Yet not all policies automatically cover the appliances, carpets, furniture or other things housed inside should a problem arise. Assuming your policy covers this and then having to pay from your own pocket to replace damaged furniture after a Nevada house fire, may make it close to impossible to bounce back from a tragedy. The other thing to consider when it comes to the rental home interior is the renters themselves. Any one of several problems can materialize when dealing with tenants. One example is that a financial dispute could arise. This means legal expenses and lost rental based revenue. Nevada landlord insurance quotes can help you look for policies that include covering legal fees or lost income. Tenants can also cause damage, either willfully or accidentally. Matters beyond normal wear and tear can be treated differently. Consider that, some policies do cover accidental damage to a rental home. If it is what is considered malicious damage, though, your policy may not cover it. This is the type of damage that usually occurs while a tenant is being evicted. Again, if you are not certain your property is protected against this type of damage you could end up paying for costly repairs on your own. Obtaining landlord insurance can leave you feeling like you have lost the ability to have any power in the policy in place to protect your investment property. Getting quotes tailored to your wants and needs for your rental property means regaining control of what is covered and how much the premiums will be. A simple investment of about two minutes of your time can see if you are among the 95% who find they could be saving money. It's because you are gaining access to a database of more than 200 insurance companies, all of whom are trying to offer competitive rates. Take the two minutes to fill out the quote form and collect your Nevada landlord insurance quotes, immediately.